This catalogue contains information about the regular nautical charts and nautical publications as well as background information on new developments in relation to digital products and services. Published in Dutch and English. List of charts and nautical publications in force. In the third column the most recent edition date of each publication is mentioned. Older publications are cancelled and cannot be updated with Notices to Mariners. In the last column the expected publication date of editions to be published is mentioned. TSP: simplifies the maritime limits and zones available for download on our website. Chart only to be used for inland navigation. Interactive chart of the Western Scheldt River by the VTS-Scheldt. For safe navigation at sea, it is important to know your position as well as the positions of obstacles. Positions are expressed in coordinates. 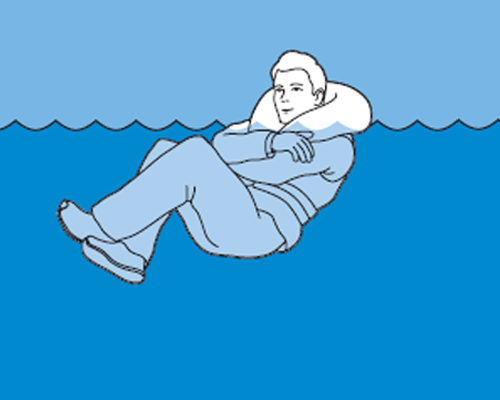 Positions at sea are expressed in latitude and longitude, and height or depth with respect to a specified water level. Coordinates are only meaningful if you know the coordinate system they refer to. These are the so-called coordinate reference systems. Mariners have to know which coordinate reference system to use for positioning. To support safe navigation, the Hydrographic Service publishes the most important changes to nautical publications. It does so by issuing Notices to Mariners (NtMs). The list contains all notices in force per nautical publication. To support safe navigation, the Hydrographic Service publishes the most important changes to nautical products. It does so by issuing Notices to Mariners (NtMs). The weekly editions frequently contain periodical lists: P and T notices (Preliminary and Temporary) - Mobile offshore drilling units list (for Dutch charting area) - Measuring instruments list (not to fish nor anchor near these positions) - Cumulative list (NM applicable to the latest editions of the charts) - Water depth list (most recent water depths in the Wadden Sea area). As a mariner, you need reliable data for safe navigation. 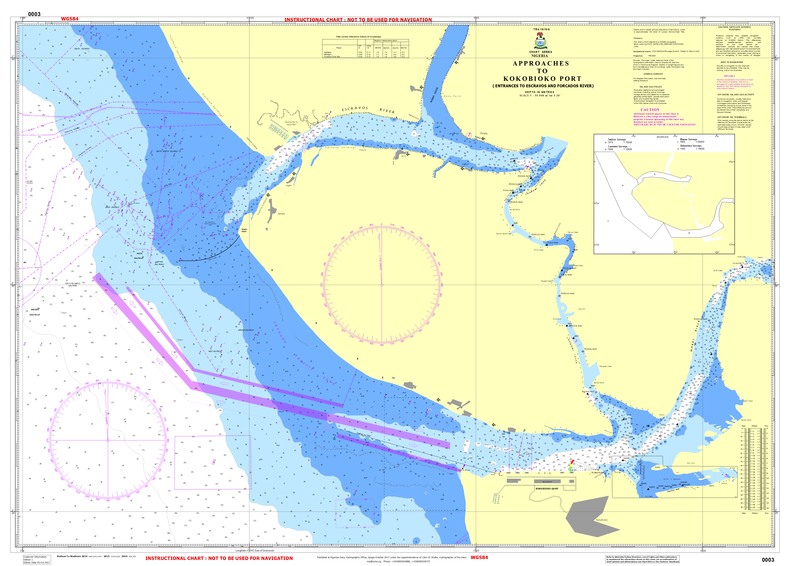 Therefore, the Hydrographic Service publishes nautical charts and nautical publications. Since the situation at sea changes continuously, you are required to keep these products up to date. You can do so by using the Notices to Mariners (NtMs). 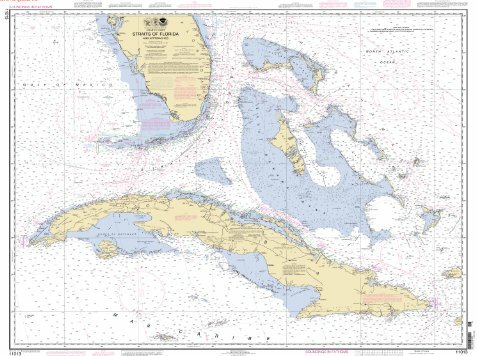 You can select the changes to each nautical chart by week number or chart number. You can also incorporate the changes by means of a weekly PDF downloadable file. 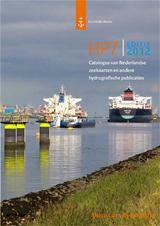 Deze catalogus geeft naast de vertrouwde gegevens van diverse zeekaarten en hydrografische publicaties tevens achtergrondinformatie met betrekking tot nieuwe ontwikkelingen op het gebied van met name digitale producten en dienstverlening. Overzicht van alle actuele uitgaven van zeekaarten en andere hydrografische publicaties. In de derde kolom is de meest recente publicatiedatum van iedere publicatie vermeld. Zeekaarten en publicaties met een oudere publicatiedatum zijn vervallen en kunnen niet meer worden bijgewerkt aan de hand van berichten aan zeevarenden. Van in bewerking zijnde uitgaven wordt in de laatste kolom de verwachte publicatiedatum genoemd. Interactieve kaart van de Schelde. Interactieve kaart door de VTS-Scheldt. Voor veilige navigatie op zee is het belangrijk uw positie en die van obstakels te weten. Posities worden uitgedrukt in coördinaten. Op zee zijn dat vaak geografische lengte en breedte, en hoogte of diepte ten opzichte van een vastgestelde waterstand. Coördinaten hebben alleen betekenis als het coördinatenstelsel bekend is waaraan zij refereren. Dit zijn de coördinatenreferentiestelsels. Een zeevarende moet weten welk coördinatenreferentiestelsel hij gebruikt voor plaatsbepaling. Informatie over de getijden op zee en algemene getijtheorie: Inleiding getijtafels - Inleiding stroomatlassen. TSP: Het programma vereenvoudigd de maritieme grenzen en zones die u op deze site kunt downloaden. Om varen veilig te houden publiceert de Dienst der Hydrografie belangrijke wijzigingen op nautische boekwerken. De dienst doet dit met Berichten aan Zeevarenden (BaZ). Vindt u per boekwerk een opsomming van de relevante Berichten aan Zeevarenden (Correcties HP1 - The Netherlands Coast Pilot, Corrections HP2 - Liste des Pays-Bas et la lumière zone adjacente). Om varen veilig te houden publiceert de Dienst der Hydrografie belangrijke wijzigingen. De dienst doet dit met Berichten aan Zeevarenden (BaZ). In de weekedities BaZ verschijnen regelmatig lijsten met wijzigingen per nautische categorie. Op deze pagina vindt u een overzicht met de actuele lijsten: P en T berichten overzicht - Verplaatsbare boorplatforms overzicht - Meetinstrumenten overzicht - Cumulatieve lijst overzicht - Dieptestaat overzicht. Deze brochure geeft uitleg over Berichten aan Zeevarenden en hoe deze moeten worden verwerkt. De situatie op zee verandert continu. Boeien worden gelegd en gelicht, zandplaten verschuiven, containers slaan overboord en boorplatforms verhuizen. De Dienst der Hydrografie houdt deze veranderingen bij en publiceert de actuele situatie voor zeevarenden. Dat gebeurt in zogeheten Berichten aan Zeevarenden. Knooppunten: Een vaarwegknooppunt is een drukke locatie op de vaarweg waar sprake kan zijn van een verkeersonveilige situatie. In de ‘Knooppuntenboekjes’ staan per regio de belangrijkste vaarwegknooppunten beschreven. Gedetailleerde info per regio en knooppunt: 1a Noord-Holland​​ - 1b Zuid-Holland - ​1c Amsterdam-Rijnkanaal - ​​2 Deltawateren​ - ​3 Friesland, Groningen en Drenthe - ​​4a Maas en de grote rivieren​ - ​4b Gelderse IJssel​ - 5a Routes over de Waddenzee - ​5b IJsselmeergebied​ - ​6 langs de Noordzeekust​ - Knooppunten TOTAAL​​​​​. IJsvorming op de vaarweg kan ernstige vertraging veroorzaken voor de scheepvaart. Daarnaast kunnen zogenaamde "ijsdammen" zorgen voor overstromingen. De ijstoestand op de Waddenzee, zeearmen en IJsselmeer is ook afhankelijk van de wind en/of het getij. De berichtgeving op deze pagina omvat de ijsberichtgeving voor de binnenwateren. Op de ijskaart van Nederland is de bevaarbaarheid van vaarroutes aangegeven. De kaart wordt dagelijks ververst zolang er ijs op de binnenwateren ligt en de binnenvaart er mogelijk hinder van ondervindt. Onder de kaart treft u een legenda aan met de verklaring van de in de kaart gebruikte lijnen, kleuren en codes (Vaarweginformatie). La formation de glace sur les voies navigables peut ralentir considérablement la navigation. En outre, des embâcles peuvent être à l'origine d'inondations. Le niveau des glaces dans la Mer des Wadden, les bras de mer et l'IJsselmeer dépend également du vent et/ou des marées. Les avis présents sur cette page concernent les avis de glace pour les eaux intérieures. La navigabilité des routes est indiquée sur la carte des glaces des Pays-Bas. Cette carte est actualisée chaque jour tant qu'il y a de la glace sur les eaux intérieures, et que cela peut gêner la navigation intérieure. Sous la carte, une légende clarifie les traits, couleurs et codes utilisés (Service d'information sur les chenaux/Vaarweginformatie). Ice on the waterways can cause serious delays for shipping. In addition, so-called "ice dams" can cause flooding. The ice situation on the Waddenzee, estuaries and IJsselmeer also depends on the wind and/or the tide. The notifications on this page relate to ice notifications for the inland waters. The ice chart of the Netherlands shows the navigability of courses of navigation. The chart is updated on a daily basis for as long as there is ice on the inland waters and inland shipping may be affected by it. The key to the symbols underneath the map explains the lines, colours and codes used on the chart (Fairway Information Services/Vaarweginformatie). The New Zealand Chart Catalogue is available for downloading in PDF format and lists the paper charts produced by LINZ, New Zealand Hydrographic Authority. The charts are grouped into the regions they cover and basic information such as chart number, title, scale, published and new edition dates is provided. LINZ produces official nautical charts to aid safe navigation in New Zealand waters and certain areas of Antarctica and the South West Pacific. The file is corrected with the most recent Notices to Mariners. The New Zealand Nautical Almanac (NZ 204) is published annually by LINZ. 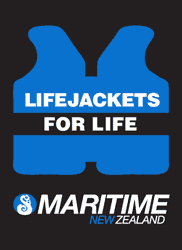 It covers the period 1 July to 30 June and provides official information to aid safe navigation in New Zealand waters. Much of the content from the Almanac is available on this website. Find astronomical information, tidal information, light list information, Annual Notices to Mariners, Maritime Contacts, information on reporting maritime hazards. LINZ maintains this list of lights to aid maritime navigation: General information sheet about NZ lights: North Island Lights List - South Island Lights List - Chatham Islands Lights List. Also general information. Sea level data, predictions and calculations to help navigate New Zealand tides and tidal streams. With daily tide prediction tables and offset/secondary port tide tables. The tide predictions on this website are not official tide tables. LINZ provides electronic images of New Zealand’s official paper charts in high resolution TIFF format. These TIFF images are not maintained for Notices to Mariners (NTMs) and are NOT to be used for NAVIGATION. 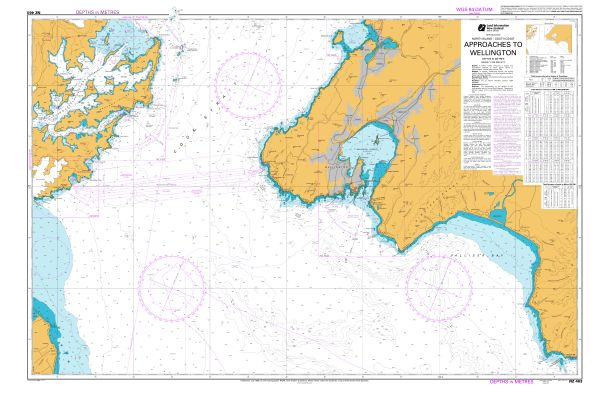 The images provided may not be current and do not replace the New Zealand official nautical charts corrected for NTMs. In the interests of good seamanship and safety of navigation, all craft navigating in New Zealand waters should purchase official New Zealand nautical charts for their intended voyage from a chart retailer or download the Official Raster Navigational Charts from LINZ’ website. Select "Paper Chart" then click on "Apply". The hydrographic raster data available through the LINZ Data Service is based on official Paper Navigational Charts published by the New Zealand Hydrographic Authority. These data does not replace official Navigational Charts; should not be used for navigation; are not corrected for Notices to Mariners. For navigation, mariners should use official New Zealand Charts as available from chart retailers. Click on + under the title of the chart. Also view chart by chart. NZMariner is the product name of New Zealand's Official RNC folio, and is available for download at no charge from this page. LINZ publishes NZMariner plus a monthly cumulative update file of corrections published in Notices to Mariners. NZMariner can only be used in conjunction with compatible viewing software: Electronic Charting Systems (ECS) or Electronic Chart Display Information Systems (ECDIS). Also technical documentation about NZMariner. Astronomical phenomena (orbital phenomena of the earth, solar and lunar eclipses, lunar perigee and apogee, phases of the moon), planet visibility, moonrise and moonset tables, sunrise and sunset tables, true bearing of the sun at sunrise and sunset. Maritime Safety Information (MSI) is defined as navigational and meteorological warnings, meteorological forecasts, and other urgent safety-related messages. This information is of vital importance to all vessels at sea. Maritime Safety Information is of vital concern to all ships and pertains to navigational and meteorological warnings, meteorological forecast and other urgent safety-related messages broadcast to ships. There are three types of navigational warnings: long range (NAVAREA), coastal and local. Messages broadcast to the NAVAREA XIV area and the New Zealand Coastal Navigational Warning Area Z can be found here. The cumulative edition of New Zealand Notices to Mariners lists the corrections affecting each chart. It is issued quarterly in NZ Notices to Mariners and is updated fortnightly on this website. LINZ publishes Annual New Zealand Notices to Mariners and fortnightly New Zealand Notices to Mariners (NTMs). This booklet gives you essential information for an enjoyable and safe time on the water. A handbook explaining the system of buoyage and beaconage in New Zealand waters. Learn techniques to improve your chances of survival in cold water: Survival techniques for water - How the body reacts to cold. 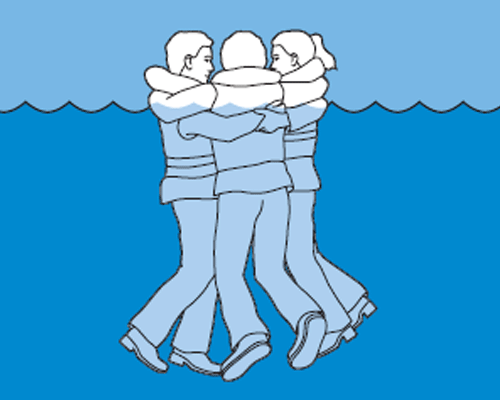 Information and resources for skippers and crew when crossing any bar or river entrance. The radio handbook for coastal vessels is a guide to operators of both ship and coastal radio stations, including operators of VHF and SSB radios. Handbook also on page Communications. The handbook provides information about: the correct procedure to use when communicating over the maritime radio network - how maritime radio works - how search and rescue is managed in New Zealand - distress, urgency and safety calls including use of cell phones - radio telephone procedure - radio coverage and services - other information, eg useful contacts and a glossary. It also includes two stickers inside: VHF marine channel allocation - Radio distress calling how to. 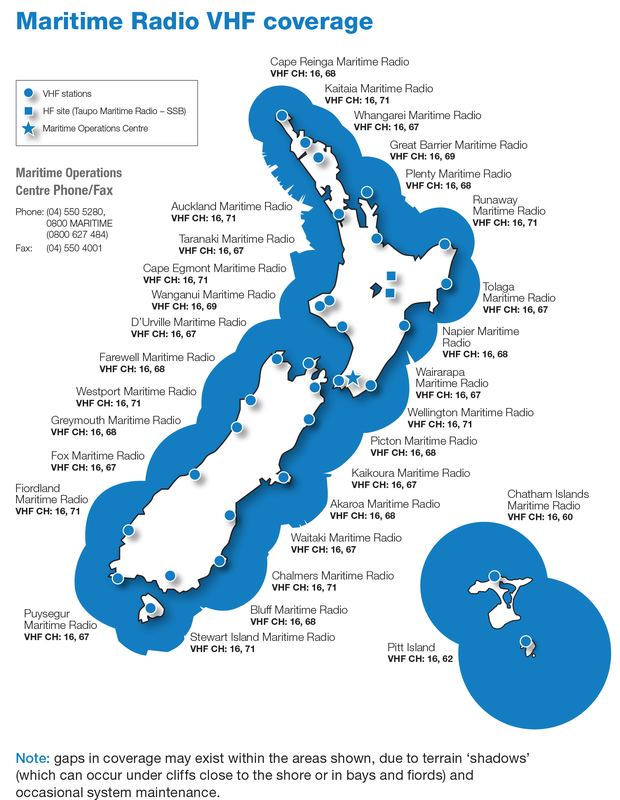 Learn about the maritime radio services available to all boaties in New Zealand. This brochure covers what is fatigue for seafarers and how to manage it, including: The importance of sleep - What causes fatigue - Your legal obligations - Strategies for getting enough sleep. Fatigue is a health and safety issue. Most maritime accidents caused by fatigue follow a lack of sleep or poor-quality sleep. By better understanding the causes and implementing strategies to manage fatigue, the risk of fatigue-related accidents will reduce. This sector guide is for vessel owners and operators. It contains: an example of a fatigue management plan - accidents that happened - common causes of fatigue on fishing boats and what to do about them - key issues in the fishing industry - Maritime New Zealand recommendations - legal obligations - how to write a fatigue management plan - documenting steps for audit. Maritime NZ has developed this brochure to help you understand your obligations under the Health and Safety at Work Act (HSWA) 2015. It explains how HSWA and the Maritime Transport Act (MTA) work together and introduces some new terms and duties under HSWA. 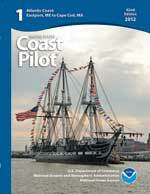 It also includes a profile of a hypothetical maritime operator and explains how those involved meet their duties. HSWA at a Glance is a companion document to Maritime NZ’s Health and Safety: A guide for mariners. This guide provides information about your responsibilities under the Health and Safety at Work Act (HSWA) 2015. This is your essential guide to meeting your health and safety obligations. It is relevant for everyone working in the maritime sector. Contents: 1. Health and safety legislation - 2. Duties, rights and responsibilities - 3. HSWA in action - 4. Applying HSWA duties in the maritime sector - 5. What to do when accidents happen. Download Maritime New Zealand’s publications on the Health and Safety at Work Act (HSWA) 2015 and associated regulations for work on board ships, and where ships are places of work. Latest NAVAREA XIV and NZ coastal navigational warnings broadcast to ships in New Zealand waters. Many warnings are of a temporary nature, but others may remain in-force for several weeks and may be superseded by Notices to Mariners. The warnings are not always updated in real time. Masters/Captains are still required to receive navigational warnings from the Global Maritime Distress and Safety System (GMDSS) broadcast service. Read our updates on safety issues, and related matters. MNZ publishes safety updates on a variety of safety issues and proposals relating to these. The updates are published as required, and are distributed to those sectors directly involved. Topics: Hazards - People - Equipment, cranes and cargo - Navigation and stability - Regulation. The Mariners Met Pack (South West Pacific) was produced for MetService by former weather ambassador Bob McDavitt. BSc, MRSNZ, MNZM. We are pleased to make it available for mariners here on our website. 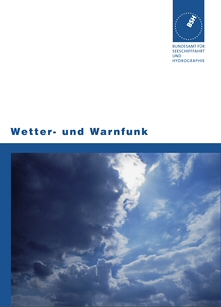 Chapters: Basic Weather Forecasting - How to Read a Weather Map - Isobars and the Wind - South Pacific Weather - Tropical Cyclones - Case Study: June 1994 - Weather Maps by Fax - Codes: Winds and Waves - Where to get a Forecast. Also weather posters: New Zealand Cloud Types - Measuring The Wind. The recreational forecasts are written for high-use recreational areas: Bay of Islands, Auckland, Coromandel, Bay of Plenty, Hawke Bay, Kapiti, Mana, Wellington, and Christchurch. List by locations. Also by map. The Nigerian Navy Hydrographic Office is at the final stage of building capacity for the production of Nigeria's National charts. Currently the office has developed a compendium of survey and charting plans for the entire Nigeria waters. These charts would be made available shortly. The office has produced three series of training charts which are used by Nigerian Navy training Schools/Establishments, for training of naval personnel on navigation. Instructional chart: not to be used for navigation. This is the preface of the Nigerian Tide Tables annually published. Type of warnings: NAVAREA II Warnings - Coastal Warnings - Local Warnings. The Nigerian Navy Hydrographic Office provides timely Notices to Mariners for the correction of all Nigerian Government navigation charts and publications from a wide variety of sources, both foreign and domestic. The product catalogue provides an overview of nautical charts and nautical publications published by the Norwegian Hydrographic Service. Produktkatalogen gir oversikt over sjøkart og nautiske publikasjoner produsert av Kartverkets sjødivisjon. 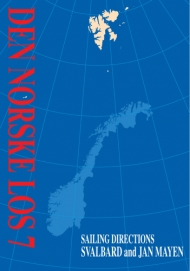 The Norwegian Pilot Guide series (Den norske los) comprises eight books. Only Volume 7, which covers Svalbard and Jan Mayen, is available in English. The Norwegian Pilot Guide, Den norske los, is a supplement to the nautical charts. The publication contains supplemental information beyond what is portrayed on the charts, serves as reference material and is an important tool for use before, during and after sailing voyage. 1. Alminnelige opplysninger, 2A. Svenskegrensen – Langesund, 2B. Langesund – Jærens rev, 3. Jærens rev – Stad, 4. Stad – Rørvik, 5. Rørvik – Lødingen og Andenes, 6. Lødingen og Andenes – Grense Jakobselv, 7. Svalbard og Jan Mayen. I bind 1 er det samlet en del opplysninger av allmenn interesse for navigeringen. Innhold: Statens kartverk Sjø, Kystverket, Lov om havner og farvann, Sjøflyhavner, Farleder, Skipsruting, Sjøtrafikktjenester, Navigasjonsinstallasjoner – oppmerking, Fyr og lykter og lanterner, Radarsvarer (Racon), Feil og mangler ved oppmerkingen/meldingstjeneste, Lostjenesten, Norsk beredskap mot akutt forurensning, Bestemmelser for norsk sjøterritorium, Fiskerigrenser, –soner og fiske, Den norske redningstjeneste, Satelittsystemer, Meteorologi, Geodesi, Oseanografi, Miljøvernbestemmelser, Kystseilas og sjømannskap for småbåteiere, Sjøveisreglene, Flagg og signalering, Tabeller, Alfabetisk stikkordregister. Coastal radio broadcasts Maritime Safety Information (MSI) and forecasts on MF primary channels, available VHF working channels and Navtex. Kystradioen kringkaster Maritime Safety Information (MSI) og værmeldinger på MF primærkanaler, ledige VHF arbeidskanaler og Navtex. Maritime Safety Information and traffic list: Maps with VHF-channel plan for Northern-Norway and South Norway - Map with MF channel and Navtex plan for Norway - VHF kanaplan for Norden (Telenor Maritim Radio). Icecharts & ice information: High resolution icechart for Svalbard - Sea Ice Forecasts for Boreal Seas - Ice charts for Boreal Seas (Eastern Greenland, Denmark Strait, Fram Strait, Svalbard, Barents Sea, North and Baltic Sea, Oslofjord) - Collaborative Antarctic Ice Charts from NIS-MET Norway, U.S. NIC, and Russian AARI (Whole Antarctica: ice concentration and stage of development, Antarctic Peninsula, Weddell Sea East, Bransfield Strait, Adelaide Island). Also ice maps by weather API. The publication giving the tide tables for the Norwegian coast and Svalbard. «Tide Tables for the Norwegian Coast and Svalbard» gives times and heights of high and low waters for 16 standard ports in Norway, and the British port of Dover. The times of high and low waters are given in Norwegian standard time (UTC+1 hour). During the daylight saving time the time of day has to be increased by one hour. The time zone for Dover is UTC. The heights are given in cm above the Norwegian Chart Datum. Publikasjonen «Tidevannstabeller for den norske kyst med Svalbard» gjev høgde og tidspunkt som høyrer til, for alle høg- og lågvatn i 17 standardhamner og cirka 200 sekundærhamner. Denne oppdaterast for eitt år om gongen, og publiserast i hausthalvåret. Tabell for tidvatn for Dover, England, er også med. Water level and tidal information by place, position or with map. Also provides information about reference levels and land uplift for the Norwegian coast (HTML). Nettsidene er bygget rundt et stedsnavnssøk, der man kan søke på havnivå og vannstand i hele Norge (HTML). To see RNC chart select "Bakgrunnskart -> Sjøkart Hovedkartserien". To see ENC chart: "Marin informasjon -> Elektroniske sjøkart (ENC)". Important notices and information about the use of the Norwegian NM, Etterretninger for sjøfarende (Efs) can be found here. Table of Contents: 1 Important attachments to the Efs, 2 About Etterretninger for sjøfarende (Efs), 3 Tracings, 4 Nautical Charts, 5 Electronic Navigational Charts (ENC), 6 Print on Demand, 7 Information from the Norwegian Coastal Administration, 8 Coastal Radio – Maritime Safety Information (MSI), 9 Weather Forecast. Viktige meddeleser og informasjon om bruk av Etterretninger for sjøfarende (Efs) finner du her. Innhold: 1 Vedlegg til Efs, 2 Om Etterretninger for sjøfarende, 3 Tracings, 4 Sjøkart – innhold og merking, 5 Elektroniske sjøkart (ENC), 6 Print on Demand-kart (POD), 7 Sjømerker og annet fra Kystverket, 8 Kystradio – MSI, lyttevakt og værmeldinger, 9 Diverse. 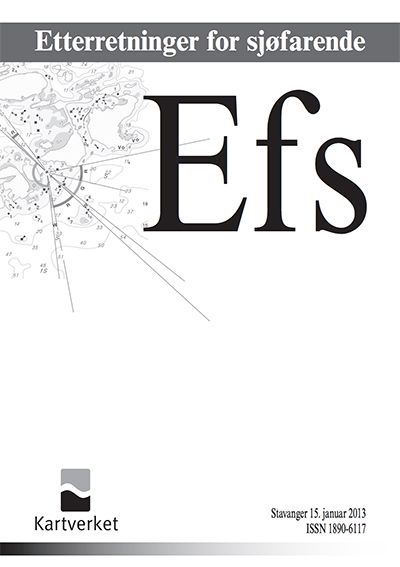 Notices to Mariners (Etterretninger for sjøfarende) Efs, is published twice a month and contains information which enables mariners to keep their charts and Sailing Directions updated. In addition it contains information of importance to navigation, such as temporary changes, gunnery exercises, works in progress, closing of fairways etc. «Efs» utgis 2 ganger i måneden og inneholder opplysninger som gjør det mulig for sjøfarende å holde sine sjøkart og farvannsbeskrivelser à jour f.eks. : etablering og forandringer i fyrbelysningen, faste og flytende sjømerker, nyfunne grunner, nye eller endrede undervannskabler og rørledninger, luftspenn, om vrak eller hefter som kan være til hinder for fiske og skipsfart med mer. Videre gis meldinger om skyteøvelser, opplysninger om eventuelle påbud og forordninger angående seilas i bestemte områder, endringer av losstasjoner med mer. The Norwegian list of lights (Fyrlisten) describes maritime navigation marks which emit light signals on land and at sea, as well as information about other aids to navigation. Here is the continuously updated list of lights in pdf-version. Norsk fyrliste beskriver maritime navigasjonsmerker som gir lyssignaler på land og i sjøen, samt informasjon om andre hjelpemidler for navigasjon. Her finner du den kontinuerlig oppdaterte fyrlista i pdf-versjon (List of lights). Here you can find contact details to all five Vessel Traffic Service (VTS) centres in Norway. Kystverket opererer fem sjøtrafikksentraler som regulerer og overvåker skipstrafikken i definerte tjenesteområder langs norskekysten. There is full compulsory pilotage on Svalbard, same as on the Norwegian mainland. Vessels with at length of 70 meters or more and passenger vessels with a length of 50 meters or more are subject to compulsory pilotage when sailing in Svalbard internal waters. For vessels carrying dangerous cargo the length limits are shorter. Wave forecasts for particularly vulnerable areas help us to decide whether it is safe to be at sea. The service provides forecasts for selected shipping lanes and the areas around them. Forecasts are at three-hour intervals up to 72 hours in advance. The shipping lane forecasts contain data for significant and maximum wave height and wave direction for every hundred metres along particularly vulnerable coastal shipping lanes (BarentsWatch). Bølgevarsel for spesielt utsatte områder og strekninger gjør det lettere å avgjøre om det er trygt å ferdes på havet. Tjenesten gjelder både varsel langs utvalgte farleder og i området rundt disse farledene. Det gis varsel i tre timers intervaller inntil tre døgn fram i tid. Farledsvarslene inneholder data for signifikant og maksimal bølgehøyde, samt bølgeretning for hver hundre meter langs spesielt utsatte farleder langs kysten vår. Farledsvarslene inneholder data for signifikant og maksimal bølgehøyde, samt bølgeretning for hver hundre meter langs spesielt utsatte farleder langs kysten vår (BarentsWatch). As the national coordinator for navigational warning, the Norwegian Coastal Administration is responsible for transmitting navigational warnings of incidents and conditions at sea that can affect the navigational conditions for mariners: Navigational Warnings - Malfunctional Navigational Aids - NAVAREA XIX Warnings. Kystverket er nasjonal koordinator for navigasjonsvarsler: Navigasjonsvarsler langs norskekysten - Slukkede fyrlys - NAVAREA XIX.